Worcester-based Scimitar Sports, a bespoke sportswear specialist, was established in 2010 by a team of two. By 2016, turnover had hit £4.5 million and the firm’s off-the-shelf CRM system was creaking under the strain. With demand for its high-end products soaring, Scimitar needed a way to manage its order cycle in a more efficient way. Scimitar made an application to Worcestershire County Council’s ERDF funded Worcestershire Business Accelerator Grant, one of seven Open For Business support programmes administered by the County Council. Their strong business case was outlined in their application and programme manager Kul Sanghera had no hesitation in awarding funds. Scimitar applied in December 2016, and received funding in January 2017, which enabled it to kick-start the process of investing in a new purpose-built web-based CRM system. With the tender process already complete, development started the same month. The firm received £20,000 towards the total cost of £50,000 for their new CRM system. The system was created from scratch in order to streamline Scimitar’s ordering processes, building in adaptability for change and extension. Scimitar also engaged with Be Cyber Secure another of the Open For Business support programmes. As part of this, Scimitar’s IT department received support from Worcester-based software training specialists Borwell which included training on web security and General Data Protection Regulation (GDPR) delivered by their partner on the programme, the National Cyber Skills Centre. Before the new CRM system, Scimitar’s ordering process was a bit disjointed and involved a series of emails. Now, instead of having to create lots of different emails, there is an easily accessible flow map that allows anyone in the business to track an order at any stage of the order lifecycle, in real time. The new system has already been partially implemented, but the official go-live date is January 2018. It incorporates a customer portal, which will go live in February 2018. This will enable customers to see their orders, view and approve order designs and also pay for any invoices under £1000. With the training received via the Be Cyber Secure programme, Scimitar was able to gain the Cyber Essentials qualification – enabling it to bid for public sector and corporate contracts, where it is often a minimum requirement. It also means that Scimitar can offer clients the assurance of the security of their information. 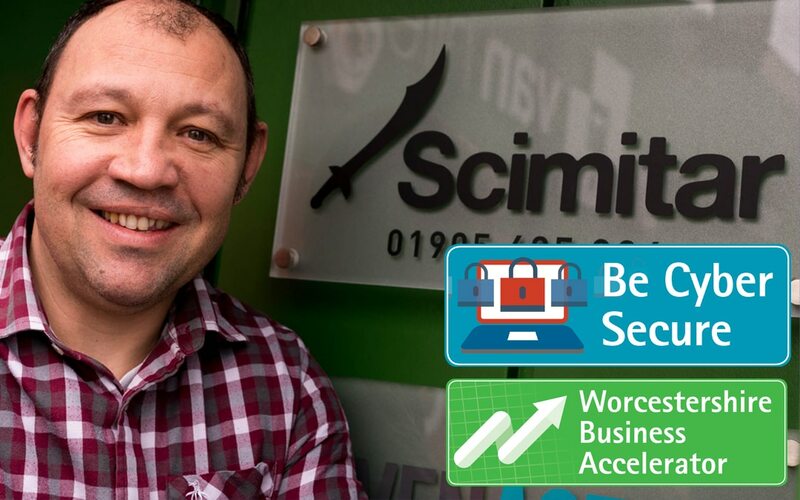 The Worcester Business Accelerator Grant helped Scimitar to step up to the next level. The new CRM system, part-funded by the grant, enables Scimitar to better manage the increased demand for its products – resulting in an overall growth that has prompted the firm to invest in five more staff. A further nine jobs are anticipated to be created in the future. 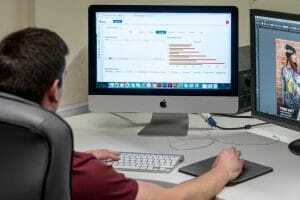 Thanks to its new web-based CRM system, Scimitar has transformed and fine-tuned its internal processes. It can manage orders more effectively and provide a replicable business model to franchisees – which is enabling it to expand globally. Scimitar is now able to capitalise on its strong market-leading position within the bespoke sportswear and promotional goods sector. With a robust IT infrastructure in place, Scimitar now aims to improve its productivity and increase its international sales.